64GB is the most popular MicroSD card through its use in smartphones. It is a great card to have, especially for those who install apps, take a lot of pictures and videos. Are you searching for the best 64GB MicroSD card for your phone, digital camera or device? If so, then you ended up on the right page, as I highlight the best and top rated cards on the market right now. I decided to compile a little list highlighting the many different 64GB cards that are out there. It can be challenging trying to compare the different options available, simply because not all 64GB Micro SD memory cards are made equal. So instead of pulling your hair out, keep reading and see which one would be a good fit for your device. You cannot lose with the cards listed below, as I have ranked them based of factors that you will find important. From price, performance to speed, all of these cards are highly rated within the industry and they are a perfect fit for your digital device. The cards I list here are the ones that are generally what the majority of people will use in their mobile phones or other devices. They are not super-fast cards (those are highlighted below), but they are the best options for general use. SanDisk Ultra 64GB microSDXC. This option from SanDisk is by far the most popular 64 GB card on the market today. Where it shines is that it is pretty cheap and for the amount of storage you are getting, many consider this card an amazing deal. Samsung 64GB EVO Select Micro SDXC. The Samsung 64GB Evo Select is another popular choice for mobile phones and it is easy to see why. The card is one of the cheapest on the market and it also delivers really outstanding performance. This card is a great choice for most cellphones and you are backed up by Samsung’s reputation for making high quality products. I realize that some of you want the best in terms of performance and not necessarily price, so below are the 3 fastest cards on the market right now! These cards are for people who need to use high-speed microSD cards in drones, high-end cameras, action cams and anything else. SanDisk Extreme Pro 64 GB Class 10 UHS-II SanDisk knows how to make memory cards and this 64 GB extreme Pro version is one of the fastest on the market right now. It is not going to be the cheapest, but you are guaranteed to get a memory card that is extremely fast. It boasts ridiculous read speeds of up to 275MB/s as well as write speeds up to 100MB/s. It is not cheap, but if you need a fast card for your device, whether smartphone, action camera, or digital camera, then this is the best money can buy. The genuine Samsung Pro Plus line of Micro SD cards is well worth the money IF you need the UHS-3 write speed of 30MB/sec, which would be needed for things like recording 4K video or just doing huge data dumps in a hurry. If you don’t need those kinds of write speeds the Samsung EVO model line will give you more capacity for the money and are just as reliable. I’ve been using Samsung cards for years and they are the only brand that consistently don’t give me any issues year after year. Confused about MicroSD vs MicroSDHC vs MicroSDXC, well let me give you a quick overview about the different formats. (The link before has a more in-depth explanation). All three formats are essentially the same thing. The cards are phsycially the same, the only difference is the storage capacity of each format. Micro SDHC cards – Their storage capacity is from 8GB – 32GB. As a format microSD came out first and people have been misuing the name ever since. Technically it is impossible to have a 32GB microSD card, as they physically only go up to 4GB. However, in the real world, when someone asks for that specific card, most people know what they are talking about. ** You should be aware that if you have an older phone/camera that only support SD, then there is a possibility it might not be able to read the newer SDHC formats. If you have a really old device, try and consult with the user manual to see what memory card type your device can use. You don’t have to be limited with using the 64GB MicroSD card with just your cellphone. Once you have an adapter, you can plug it into any device that uses SD cards. 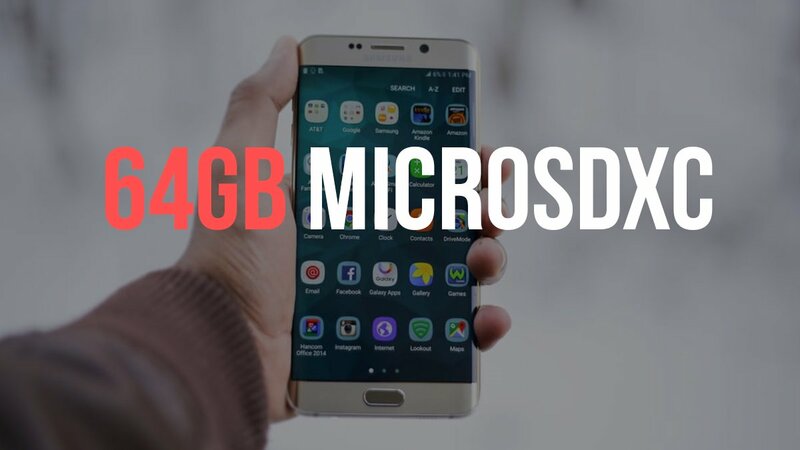 How Much Data Can the 64GB MicroSD Hold? Some of you might have some interest in knowing how much data the 64GB MicroSD can store. Below, you can get an idea as to how much music, movies, video and pictures will fit on the card. **The numbers presented below are real world estimates. Please do not take this as the final storage capacity of the card. The card can hold a lot more or less data, this is just here so you can get an idea of what to expect using this card.